The box has a sleek matte finish and embossed with the B logo. 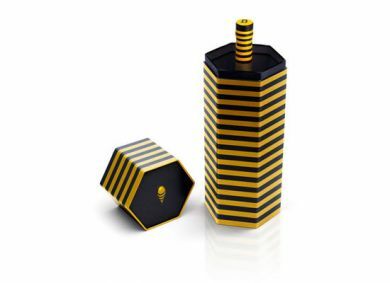 The Special Edition B-Hive Chillbox was designed to stand out on its own, chilling the cachaca at VIP tables or as an eye-catching gift for the high-end party crasher. The simplicity of the packaging has attracted consumers throughout Brazil.